Tanguy Cariou: “We have come a long way since starting this 2017 Youth project. It is a unique opportunity to have been able to work in the long-term. We were able to take the time to mould the squad, to explain what was expected of them and to adapt their approach to sailing. They grabbed the opportunity with both hands. We went further than purely technical coaching; the main objective was to make them aware of the intensity required to perform at the top of their game. *We started with a group of individuals from different backgrounds and were able to create a complimentary team. This team is now our greatest strength, but ultimately our work will be judged based on the results of the Red Bull Youth America’s Cup. 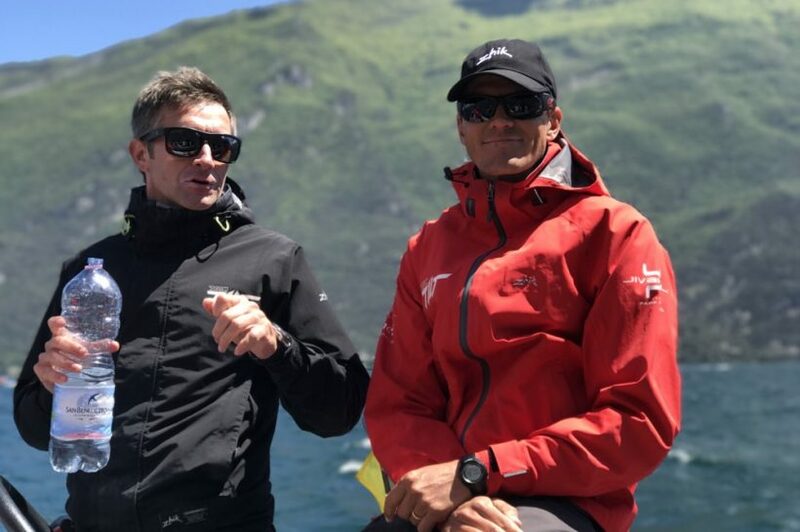 “One of the key decisions in this campaign was to start with an experienced team, including world-class sailors such as Glenn Ashby (skipper of Emirates Team New Zealand), Arnaud Psarofaghis and Bryan Mettraux, and to integrate the youth sailors bit by bit. They learned a huge amount and we were lucky to find the right balance of people at the right time! Pietro Sibello has coached the team since the beginning of the project: “I do not work with the squad full time, so I discover their progress from one session to the next. They have made enormous progress as a team. The roles onboard are clear, their skills and communication are better. They have greatly improved their mentality and their problem-solving ability – all key factors for winning races!